* The Cake Artist began its operations in 2003 with Judy Uson creating and designing cakes for weddings, debuts and milestone events. 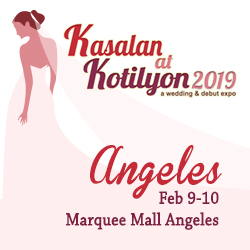 * Judy Uson's beautiful creations are distinctly remarkable for their artistry and creative executions that are decorated with the most lifelike sugar flowers and edible cake adornments. * Judy's works are regularly featured the country's leading wedding publications. In 2007, The Cake Artist was named by Metro Weddings Magazine as one of "Manila's Best Cakemakers". In the same year, Wikipedia cited Judy Uson alongside some of the world's most celebrated names in the art of cake design. * Her work has also graced issues of wedding and lifestyle magazines in the US and the Middle East. She has also been interviewed for news and special feature segments on television.